0% Int. for up to 3 yrs and 20% OFF All Doors! Why Buy Garage Doors From Guida? Our experienced sales consultants will diagnose your existing garage door problems and help you decide which options are best for your home with an upfront and honest approach. Guida offers only the best when it comes to garage doors. Our steel garage doors are insulated to help keep your home more energy efficient. 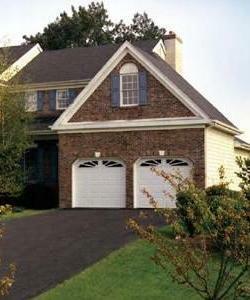 Upgrade the appearance of your garage doors with our many styles to choose from. We offer door style options, glass upgrades, color selections, and hardware to make your garage door more appealing. All of our garage doors come fully insulated to increase your home’s energy efficiency and comfort level. All of our garage doors come fully weatherized to help against drafts. Upgrade your garage door system with our optional LiftMaster garage door opener. We offer a variety of optional hardware that will upgrade the aesthetics of our door from carriage style handles to designer hinges.